Our Bass Master will bring out the fisherman in everybody. The colorful canvas which features a wide mouth bass jumping out of the water is Velcro receptive, so the Velcro bobber sticks anywhere on the canvas it hits. This compact, low maintenance, low cost game really makes a splash wherever it is used. 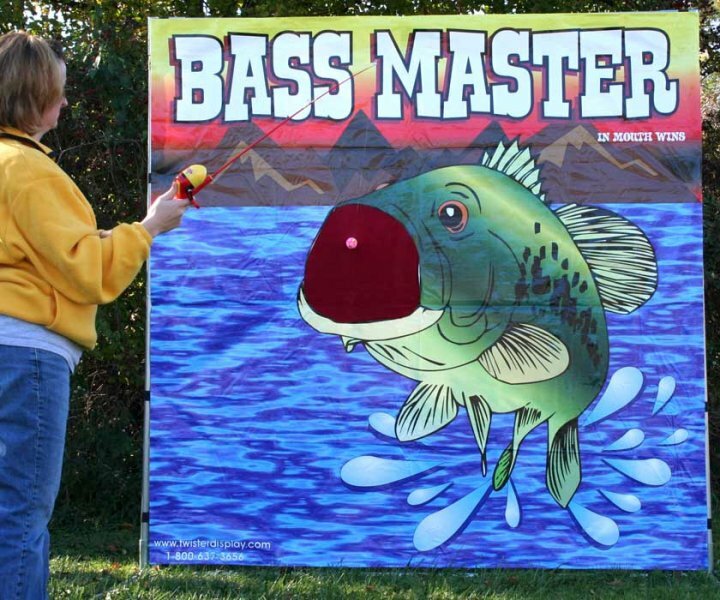 Like all of our games, Bass Master can be set up in less than five minutes and can be used indoors and out.